TED.com have an excellent collection of resources to support speakers prepare their ideas and talks for TEDx events. Below are some of the most useful that we've come across. First and foremost, have a quick read of TED's TEDxSpeaker Guide. This will open a PDF in a new tab - it can be downloaded and kept to read at a later time (it's helpful, but lengthy!). If you find that's a bit much to take on all at once, have a look at their incredible Illustrated TEDxSpeaker Guide (also a PDF). Remember, a TED Talk lasts 18 minutes max. TED curator Chris Anderson explains the science and reasoning behind that here. We will have a speaker's coach on side to support you in whittling your idea down. If you're feeling nervous about speaking (happens to the best and worst of us! ), have a look at some of these recommended talks on public speaking. They'll give you the tips and tricks you need to feel that bit more comfortable behind the mic. 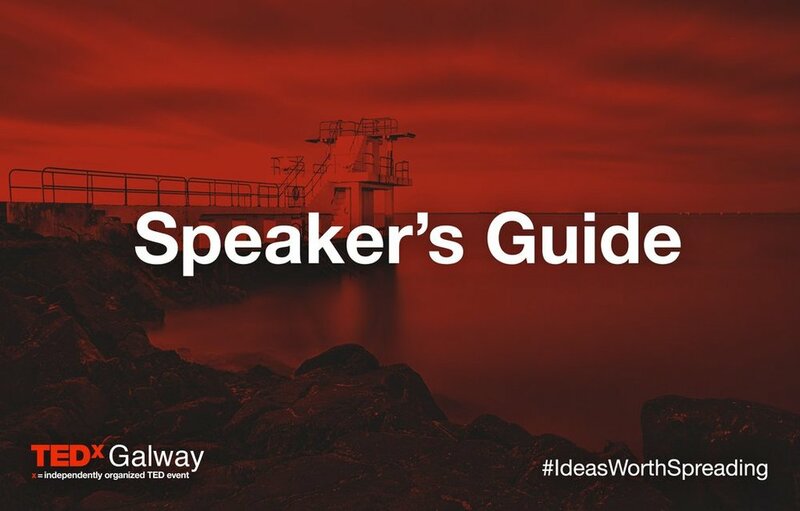 We will be updating this with more guidelines and information relating specifically to the TEDxGalway event as we get closer to launch. Remember, if you know someone with a great idea, tell them to apply! Or better yet, nominate them yourself and leave the rest to us!